In a bold move, CVS decided to risk revenue loss by cutting out cigarettes and tobacco products to more closely align with its purpose of promoting better health. Not only did CVS make this announcement through a press release, it simultaneously rolled out the news through its social media channels. Announcing news over social media can often make the content go viral. However, it also opens up the brand to public consumer reactions, both negative and positive. It’s important to always be prepared for both sides of the conversation by creating a strategy to participate in the conversation. CVS’ tobacco announcement strategy perfectly executed how a brand should release breaking news over social media. 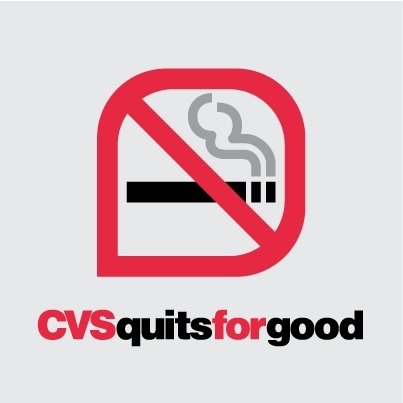 CVS invited social media users to show their support for its efforts by asking users to share their no smoking graphic, with the slogan “CVS quits for good,” as well as tweet with #CVSquits. As of today, their Facebook post garnered more than 152,000 shares and 349,500 likes – extremely high engagement. Over Twitter, their tweet received 1,200 retweets. Many have showed their support, including high-profile users such as the American Heart Association, American Medical Association, March of Dimes, Bill Gates, Chicago Mayor Rahm Emanuel, and even President Obama and First Lady Michelle Obama. 1) Always invite social media users to participate or engage with your content. Keeping your customers involved in major business decisions is critically important to maintaining brand loyalty. 2) Be prepared to respond to negative comments. The longer it is ignored, the more quickly the news item can spiral out of your control. It’s easy to plan for the positive; but, always be proactive for any potential crisis communications issue that can arise. 3) Be patient, calm and respectful. The behavior of social media users cannot be predicted. With any customer service approach, it’s vital to create and maintain a respectful environment that acknowledges your customers’ thoughts and feelings.